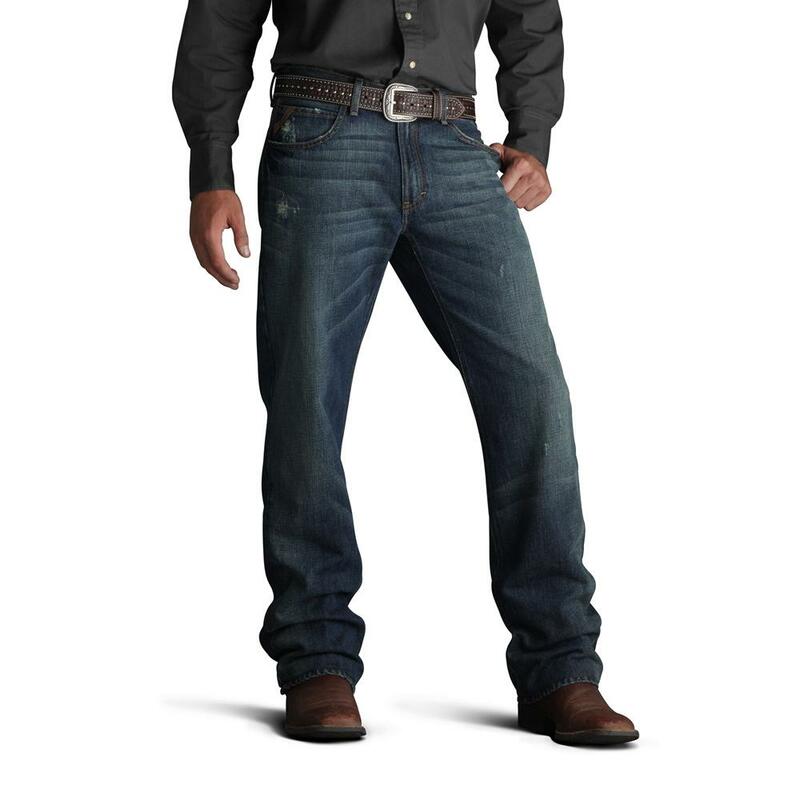 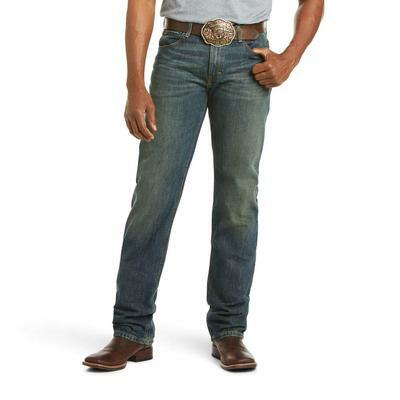 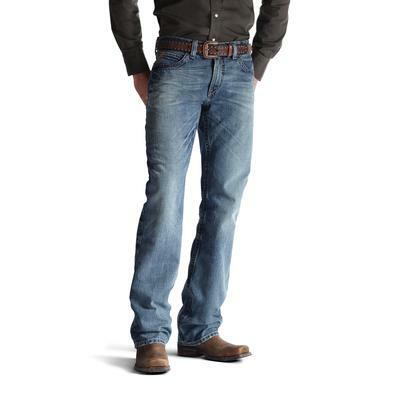 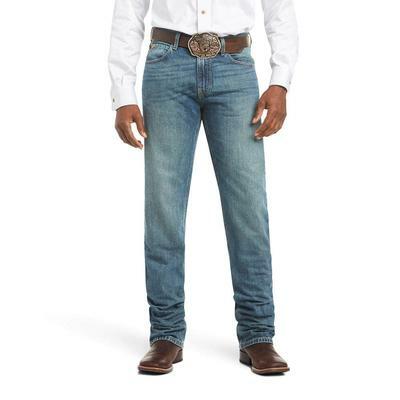 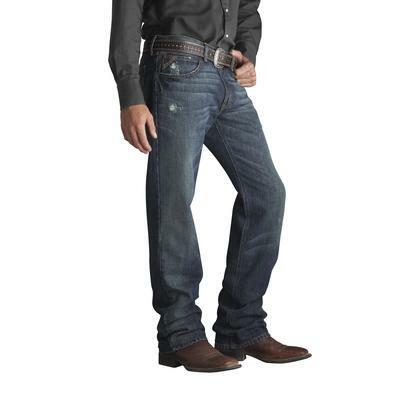 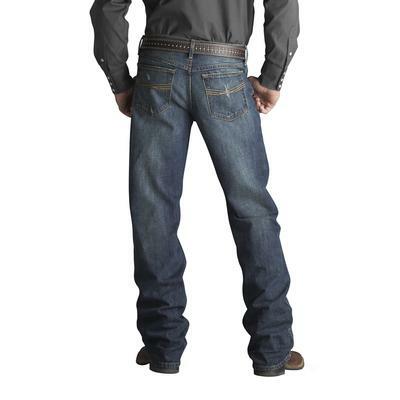 product description The Ariat M4 Low Rise Tabac Jeans are styled to go anywhere, anytime. 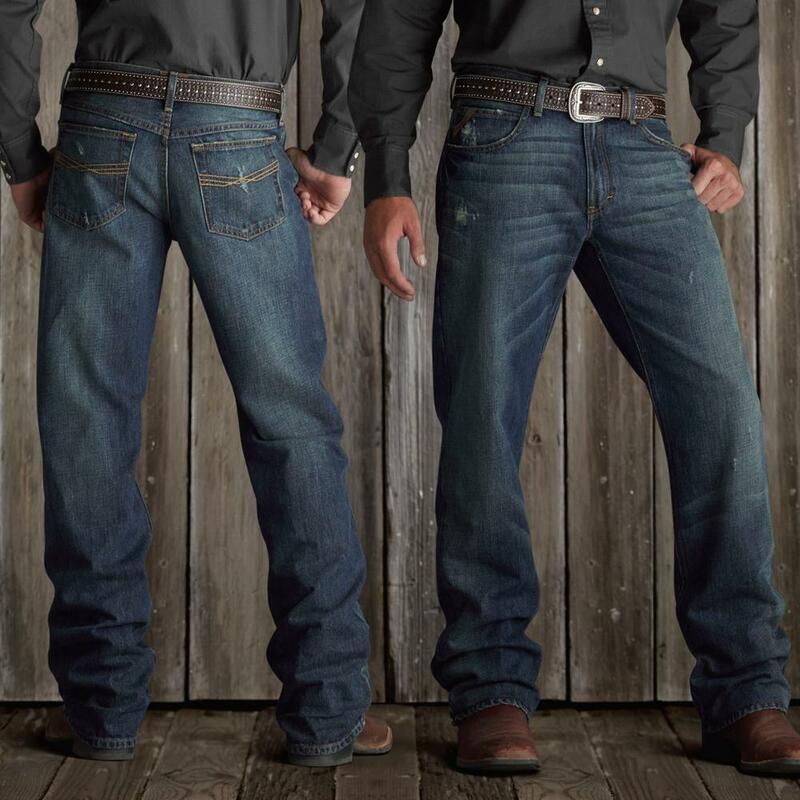 Relaxed with a low rise and boot cut, these are made for nights out. 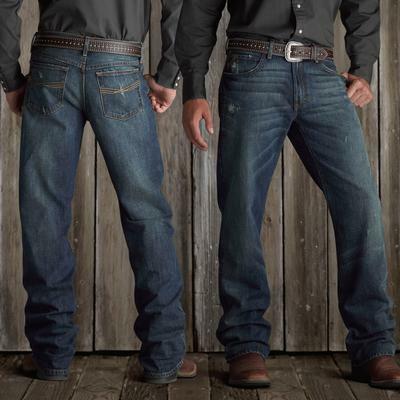 The whiskered dark-stonewash denim is distressed with grinding, tacking, and hand sanding for serious broken-in style. Built right with deep front pockets, a smart-phone stash pocket, reinforced belt loops, and chafe-free inseams.